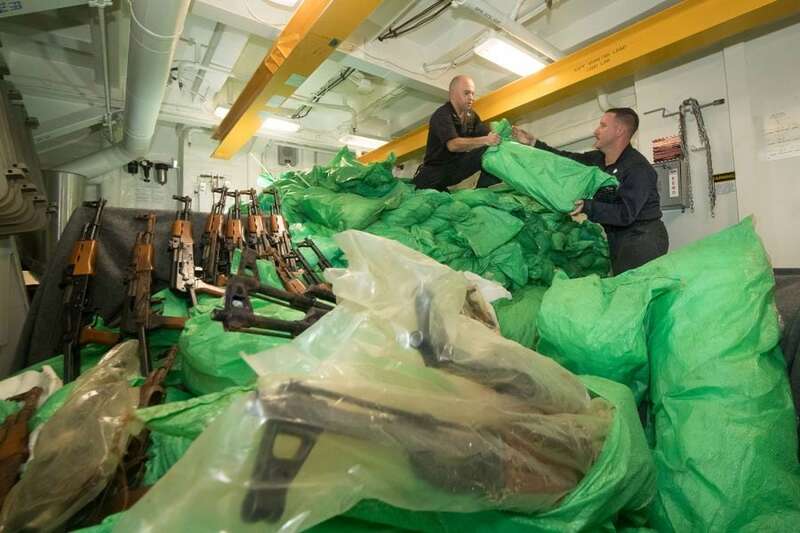 A U.S. Navy destroyer operating as part of the 5th Fleet came across a stateless dhow in international waters and subsequently discovered a few guns. 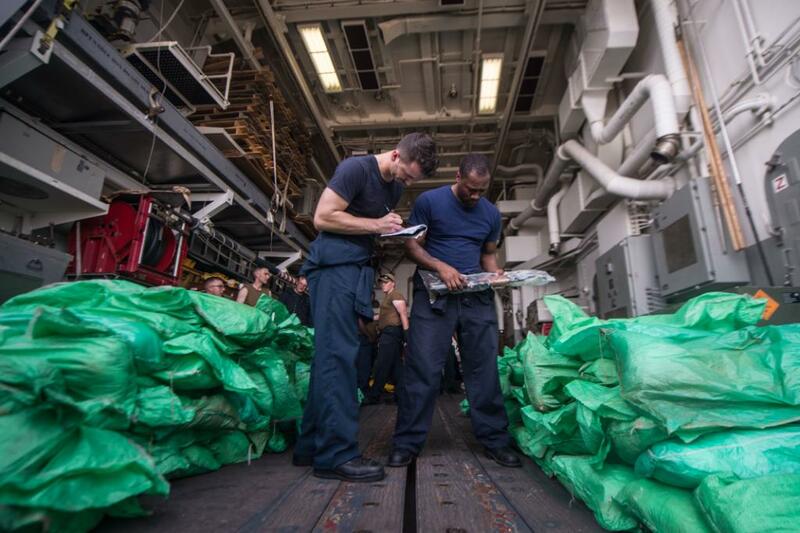 According to a release from U.S Naval Forces Central Command, the USS Jason Dunham (DDG 109) encountered the vessel Monday and, boarding the inoperable small craft the following day, discovered the weapons hidden under packages. In all, Dunham’s visit, board, search and seizure team cataloged more than 1,000 AK47 pattern rifles, most shown wrapped in plastic sleeves stored inside green bags. CENTCOM says the original source of the weapons has not yet been identified. The weapons are in U.S. custody awaiting final disposition. 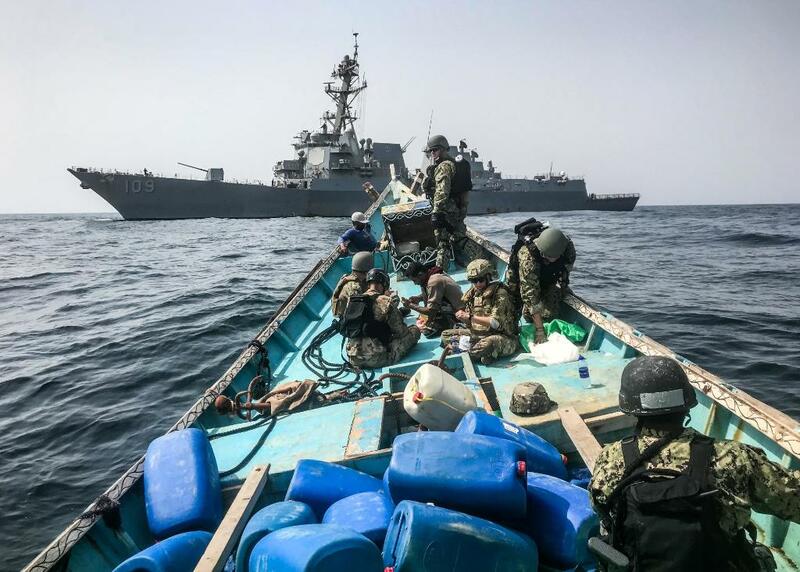 “Our ship routinely conducts maritime security operations with our highly-trained VBSS team incorporating both on and off ship intelligence assets to help locate vessels,” said Cmdr. John Hamilton, Dunham’s commanding officer. The skiff’s crew were brought aboard the U.S. warship and, after a medical evaluation, handed over to the Yemeni Coast Guard. This week’s incident is not the first time that a large munition shipment was interdicted in the region that is home to various Islamic radical groups and an ongoing civil war. 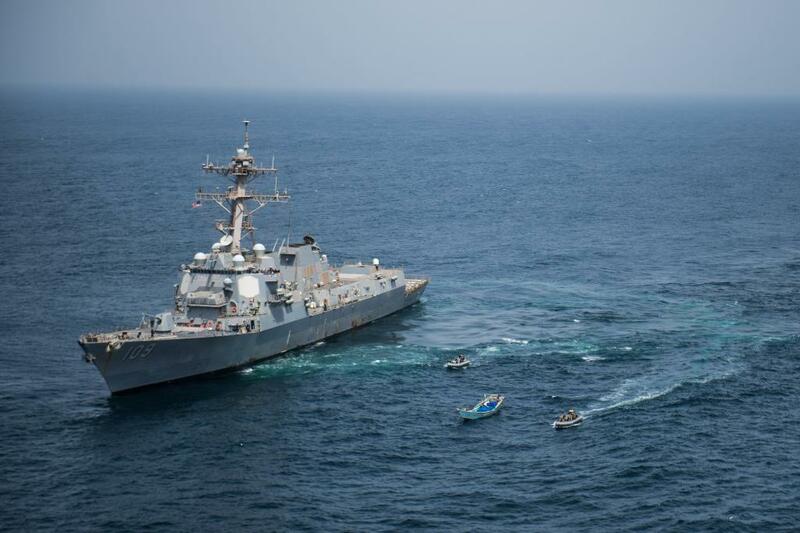 Back in 2016, the U.S. Navy coastal patrol ship USS Sirocco stopped another stateless dhow in the Arabian Sea, which upon inspection was packed to the gills with munitions en route from Iran to Yemen. 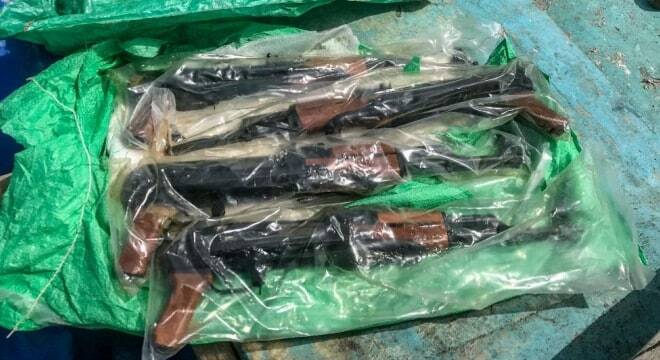 That haul included a stockpile of 1,500 AK-47s, 200 RPG launchers and 21 DShK and KPV type heavy machine guns and came just after French and Australian ships halted similar seagoing smugglers.